Built over 250 years ago, Coastal View has been superbly renovated and extended to provide spacious accommodation which includes a cosy sititng room with beamed ceiling and log burning fire. 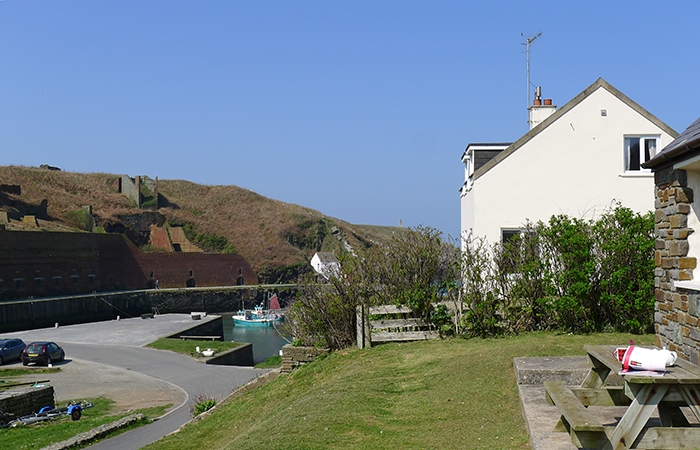 Situated in the coastal village of Porthgain with its friendly pub, excellent restaurant and art galleries. 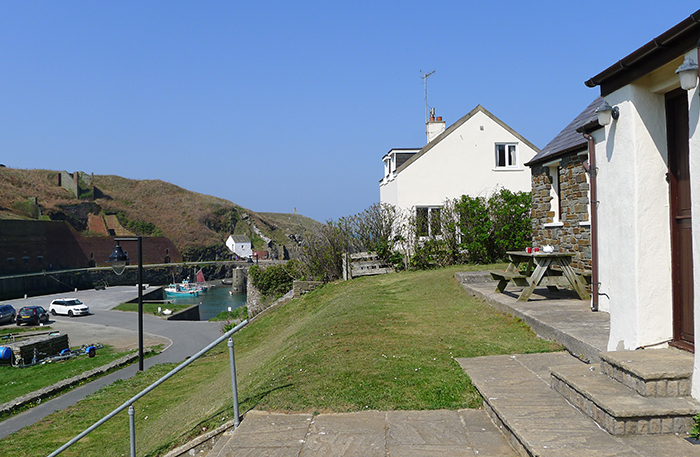 The cottage is a short walk from the harbour and the Pembrokeshire Coastal Path which takes you to Traeth Llyfn Beach. 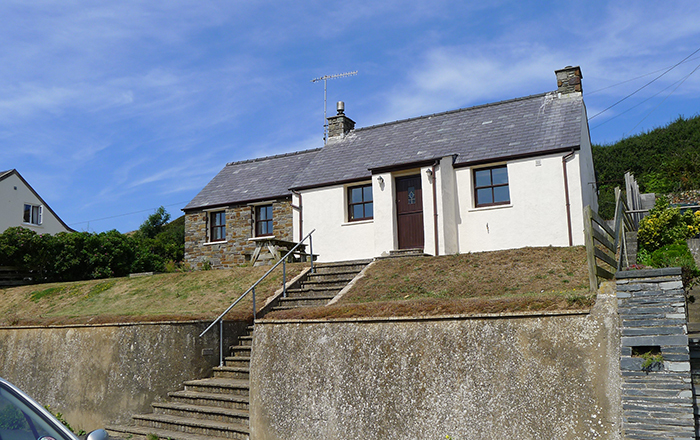 The large unfenced front lawn overlooks the harbour which is still used by local fishermen. Access to the cottage is up a short, but steep flight of steps. Several art/craft galleries are within a short drive. A little further afield is the beautiful Whitesands beach popular with surfing enthusiasts and the tiny historical city of St Davids, is well worth a visit to explore its facilities and Cathedral. An ideal holiday base for any time of year. Ground Floor: Entrance porch, sitting room, kitchen/dining room. 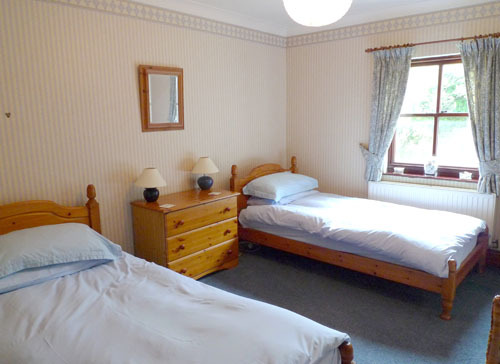 One step up to double room, twin room, bathroom/shower cubicle/whb/wc. Heating: Gas central heating, woodburning stove. Electricity: & Gas: Charged according to use. Parking: On road or car park opposite. 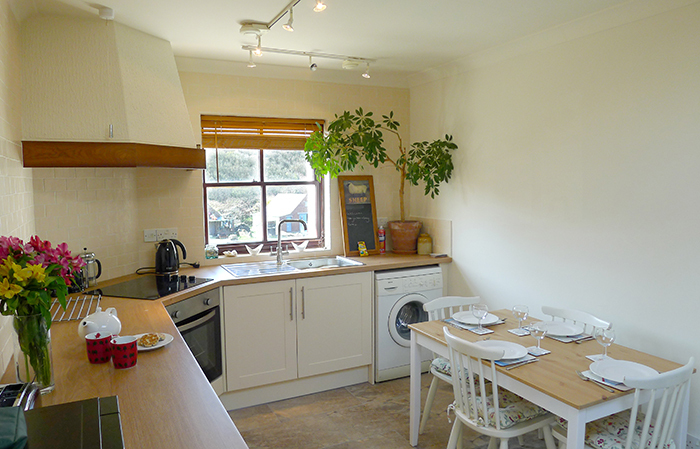 Facilities: Electric cooker, dishwasher, washing machine, fridge, microwave, TV, DVD player. Great few days in this cosy cottage. 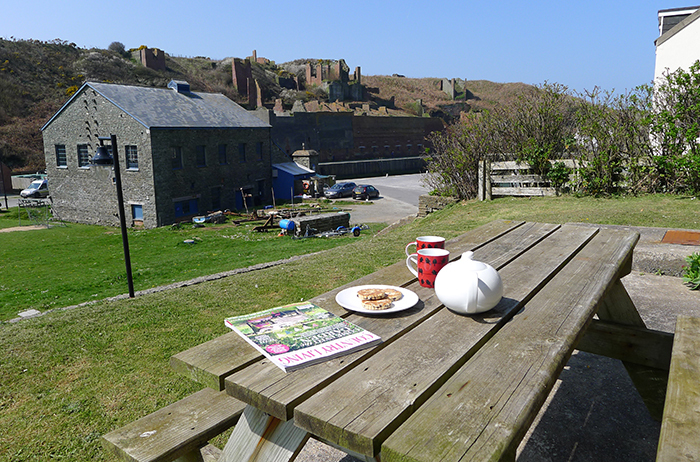 Good to be staying in Porthgain again. Weather was very kind to us, rare for this time of year! Our first visit here, it won't be the last. Very relaxing and enjoyable. Lovely walks along the cliff and wasted plenty of time people watching from the garden. Excellent ice cream from The Ship and best fish and chips from The Shed. Also enjoyed food from 'The Sloop'. Looking forward to another visit hopefully in Spring to enjoy all the flowers on the cliffs. Many thanks, Fiona. Wrth eu boddau ym Mhorthgain a Coastal View. Love this cottage and loved our week here for the second year in a row. A great place for nature and people watching, and a perfect base for coastal walks and travels around Pembrokeshire. Delighted to have had a seal visit the harbour while we were here and the Porthgain World Cup was as entertaining this year as it was the first time! Wi'r yn gobeithio cael dod yn ol eto/Very much hope to be back. 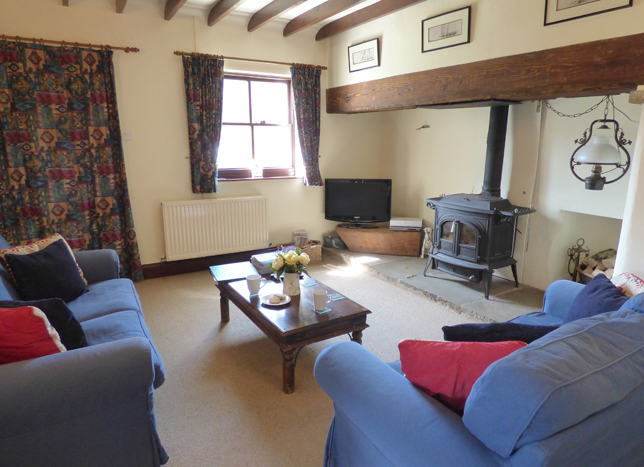 Very comfortable cottage - enjoyed Porthgain and the coastal walks and local bird watching. Look out for peregrines and choughs along the coast towards Abereiddy. 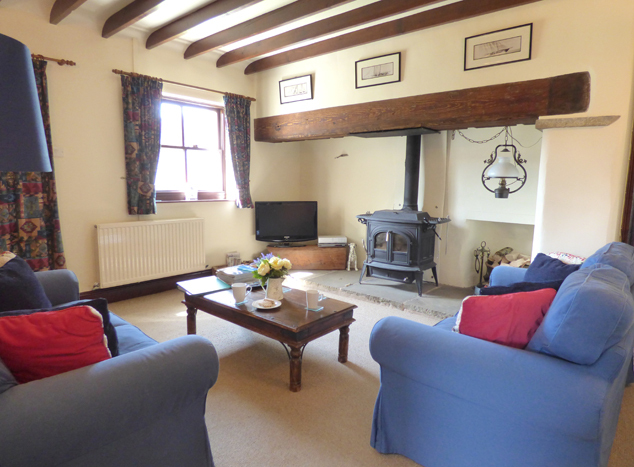 A lovely stay in this superbly appointed cottage. 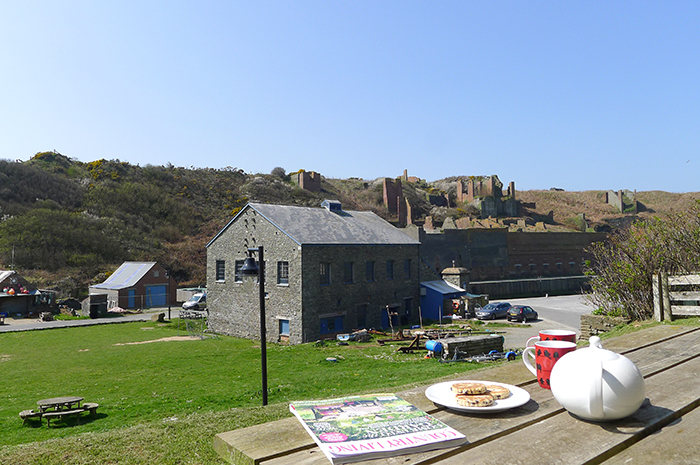 We always enjoy our time here in Porthgain. Lots of great beaches, amazing walks and some delicious fish & chips @ The Shed. Love the improvements to the cottage! The food was excellent at The Sloop - fish of the day, potted carb and mussels to be recommended. Excellent walks down from here ( Dinas Head and St Annes Head)Probably our fifth visit here! Enjoyed our short break in the cottage. Clean, Comfortable and well equipped. Lovely weather. Managed two coastal path walks!! Visited the sloop everyday. Many Thanks. We loved staying here - glourious scenery, breath taking walks and super pub next door! We have all thoroughly enjoyed our relaxing and chilled out week here. We enjoyed our stay! 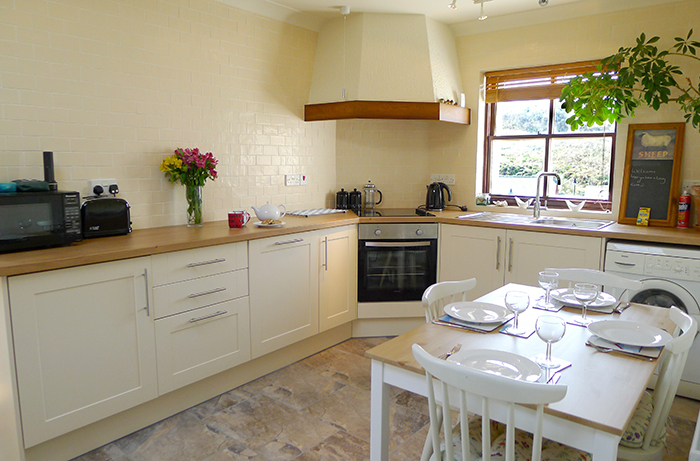 A well appointed kitchen and comfortable.. Fish & Chips at Letterston is a must! Enjoyed showing my aussie sister the Pembrokeshire Coast Line. 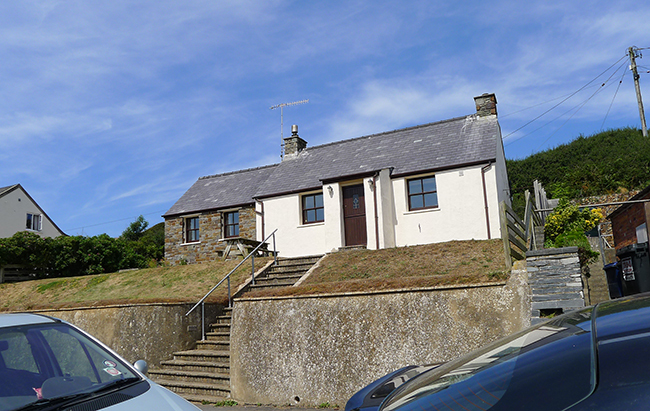 Lovely cottage - spacious and comfortable, great location - enjoyed being in Porthgain. Fabulous weather was a bonus will be back. Lovely cottage - felt like home! Beautiful food at The Shed. will definately come again. We really enjoyed our first stay at the cottage. Fish and chips at The Shed were lush. Finally spotted 2 seals at Strumble head. St Davids was a lovely sunny town with Whitesands beach. lovely village, lovely week, thank you. 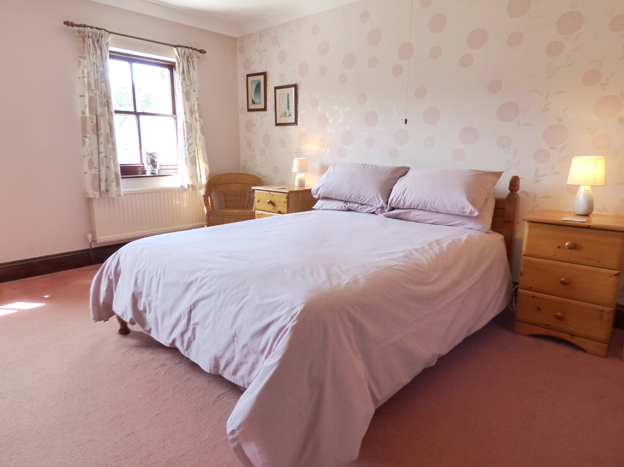 We've really enjoyed our stay - fantastic area, lovely homely cottage, great weather ! We returned after 8 years and we'll be back again. Great cottage in a fabulous location. Look forward to returning for another visit. Approach to property approximately 2 miles down winding, single track road. Parking immediately adjacent to property not always possible, particularly in high season, however village car park (gravelled) located less than 20 feet away. 17 steep steps leading to front door. Additional 3 steps up to front door, and one into living room. Narrow gate, steep slope and one shallow step to enter through back door. One carpeted step separates kitchen and sitting room from bathroom and bedrooms. 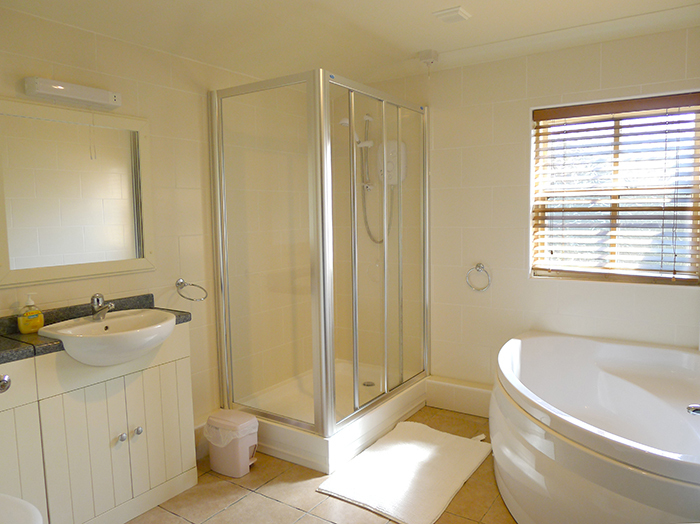 Bathroom: Tiled floor. Corner bath requiring high step in. Shower cubicle with sliding door requiring shallow step up. Kitchen: Tiled floor. High wall-mounted cabinets. Garden: Two-level, unfenced with approximate 2 metre drop to road-level. How would you like to contact us about Coastal View?